Thirty years ago, John Gaines had a crazy idea, he talked a couple of fellow racing VIPs into giving it a try, and now we’ve got the Breeders’ Cup. The horse racing industry was very different in the 1980s. But that crazy idea and “let’s put on a show” attitude is alive and well in 2016. Gaines’ heir in the innovation department is Frank Stronach, whose big ideas have brought us the Sunshine Millions, the Rainbow 6, Miss Racing Queen, Gulfstream Park West, and now what could be the biggest, craziest idea of them all – the Pegasus World Cup. As pitched, the Pegasus World Cup would bring the top 12 older horses together in January at Gulfstream Park for a shot at a $12 Million purse – the largest in the world, the largest money pot in the history of horse racing. This race would be financed by competitive owners who put up $1M each to be a part of the action. The buy-in would include a portion of whatever TV rights and sponsorship dollars the track can pull together, plus the traditional purse distribution (that’d be $7 M to the winner). Because this is horse racing, the more outrageous the idea, the louder the criticism – and a $12M race is fertile ground. What owner would put up $1M? Nobody will want to do that… The Dubai World Cup is $10M and they pay all expenses, why would I want to stay in FL and pay my own money? What horses are going to be ready for that kind of race? How are they going to get TV rights when the sport has to pay to have non-Triple Crown races broadcast? Is anyone going to bet this thing? The bigger news about the Pegasus Cup came only a week after it was announced: all 12 entry spots had already SOLD OUT! It’s already a success. If they can get 12 horses in the gate, that’s icing. It is an interesting experiment that could signal a change in how the biggest races are managed and promoted. The biggest races will be run like major league sports. Groups of owners buy-in and share revenues from the race. The way the Pegasus Cup entries are done is less like an “entry” than a “share” – owners do not have to declare a specific horse for the race at this point, and they can sell or lease their entry to anyone. Coolmore was one of the buyers. They have a stable of horses in the US and Europe to choose from, but if none fit when entry day actually comes around, they can always sell to someone with a hot horse who didn’t have the funds or foresight today. This model is more about sponsorship deals than handle – it involves high-dollar promotions, licensing, and appearance fees. With betting handle on horse races at historic lows, this will be the way the top level of racing is financed. It won’t matter how much is bet – all shareholders have already made money. Consolidation of the industry helps force this along. The major tracks will get by with 1-2 big days that cover the rest of their (shorter) meets. I could see the Kentucky Derby selling the 20 entries to interested parties for $1M each – and then the Derby would be the richest race in the world (as many in the US already assume). Dodge, FedEx, Humana – corporate sponsors would buy a Derby entry and sell the spot to horses on the trail – or there would be a frenzy to snare the top points earners as the Derby trail pushed forward each year. Can you see it – the “Gillette Starter” or the “Amazon Starter”? It seems weird to us today, but I can totally see this – soon. What about the bread and butter – maiden, allowance, claiming races? If something is not done to boost handle, and therefore purses, the minor leagues of horse racing will be running for ribbons. There are a myriad of ideas about how to do that (lower takeout, expanded wagering options like exchange, fixed odds, etc, etc,etc) – but it will take effort from the horsemen, tracks, and state racing commissions to get that done. It will be hard, tedious work that no one likes to talk about. But we must. Or the Pegasus will be the last flight of the sport instead of it rising to new heights. Hope you had a piece of that Giacomo Derby, where the Mike Smith-piloted grey won at 50-1 by a nose over the 75-1 Closing Argument. Ditto that California Chrome/Commanding Curve Exacta that paid for your summer vacation. The era of big Derby payouts is over – and it’s all Twitter’s fault. The 2015 Kentucky Derby returned a paltry $101 for a $1 Trifecta, the lowest in 25 years. The $1 Superfecta wasn’t much better, paying out a modest $634.10 for the 18-10-8-15 combination that included the 5-2 Favorite, American Pharoah, his 9-2 stablemate, Dortmund, Firing Line, at 9-1 and Frosted, the priciest of the bunch, at 10-1. Danzig Moon would have been the “bomber” had he hit the Super, but at 21-1, he was far less of a longshot than many past bombers – remember 37-1 Golden Soul in 2013? This year could be the bellwether to big change in Derby betting trends – and it won’t be fun for the regular gamblers who keep the game afloat throughout the year. What happened? The main driver of this change is technology – and the access modern communication devices have given racing fans to the horses that make up the Derby field. 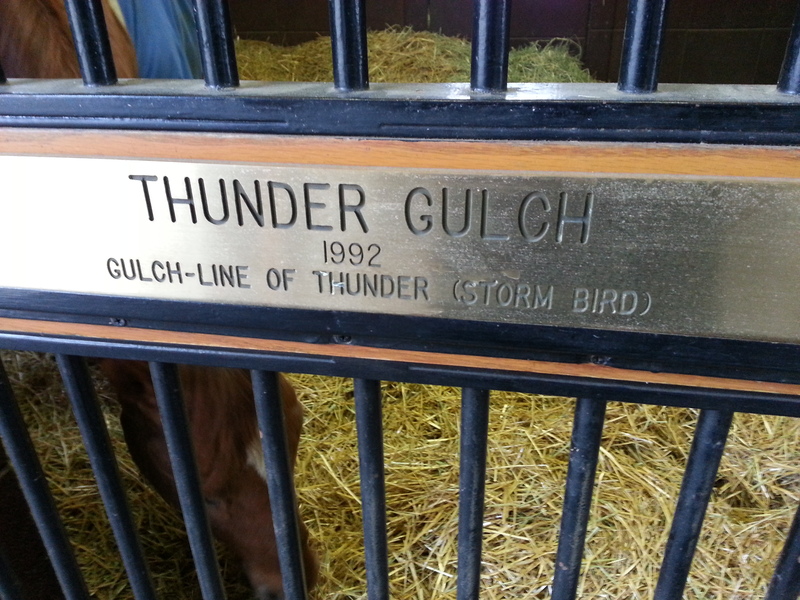 Twenty years ago, Thunder Gulch won the Derby at odds of 25-1. That year, he was considered the third-stringer to trainer D. Wayne Lukas’s more highly regarded colt, Timber Country, and the super filly, Serena’s Song. Thunder Gulch was no slouch, however, having won speedy editions of the Fountain of Youth stakes and the Florida Derby early in the season. The main knock against his otherwise solid record was an unimpressive third in the Blue Grass at the old, inside-speed-biased Keeneland. It is safe to say that had the chestnut colt, ridden by Hall of Fame jockey Gary Stevens, been in yesterday’s field, he would have been one of the favorites. In 1995, there was no such thing as YouTube, where free race replays are easily found to analyze the preps. There was no Twitter, where early-bird clockers routinely opine on the morning workouts happening at tracks from coast to coast. There was no Facebook, where fans get first-hand, official news updates from the racing stables themselves. And there was certainly no instagram, where anyone with a phone posts pictures of the horses in the lead-up to each stakes race. This just scratches the surface of information fans and bettors had – all of it free – before the 141st running of the Derby. And this information lead to the truest final odds ever in the race. Two weeks ago, it finally happened. I mean, it *really* actually happened. I watched at HRN HQ. As the horses galloped down the backstretch of Belmont Park, I relived every previous missed chance, every last-furlong heartbreak. 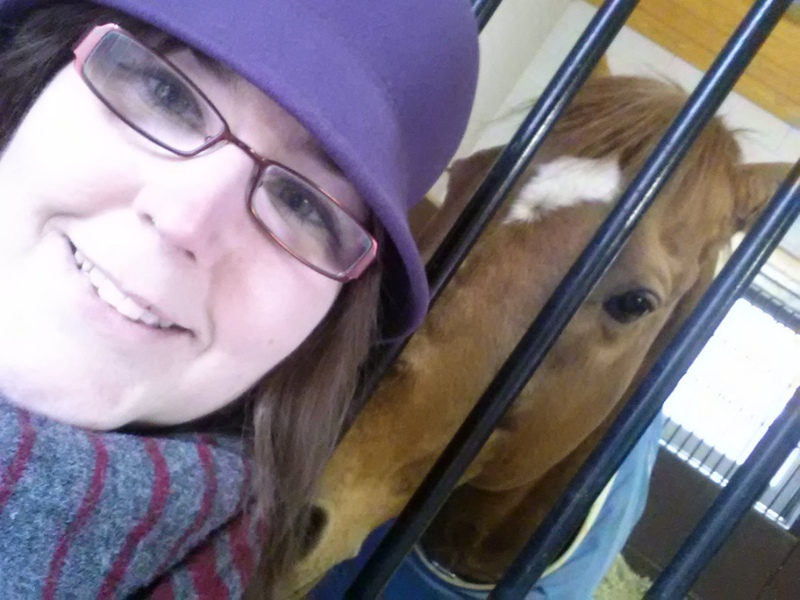 My pulse raced with the horses – clammy palms and jittery fingers. And then in the stretch, American Pharoah opened up on the field, powerful strides bounding over the ancient sands that have been the stage for so many legendary performances. Secretariat. Seattle Slew. Affirmed. More recently – Touch Gold, Victory Gallop, Birdstone, Tonalist. Pharoah charged home in the Belmont Stakes, and nobody came to nip him at the wire. He didn’t stumble at the start or get stepped on or get caught in a deadly pace duel. He became the 12th Triple Crown Winner, the first in a generation. My first Triple Crown Winner. When it happened, I felt a warmth bubble up from inside and calm my jitters. Everything was calm, at peace. I hope horse racing can take this feeling and do something with it. I have my doubts. But I am going to try in my position to make it happen. I owe it to American Pharoah. Here’s a throwback appropriate for this particular Thursday. It’s a Saturday afternoon in the mid-90’s, and a 12 year-old-girl is at home watching TV instead of cleaning her room. Channel surfing, her search stops when she sees horses on the screen. It’s Kentucky Derby day. Excited to find horses to watch on this otherwise-forgettable weekend, she sits up on the end of her bed, studying each horse as the camera pans across the paddock, every inch of which is occupied by either equine or entourage. Then she sees him: a chestnut colt with a white bridle, his name, “Thunder Gulch” imposed over the screen in those 90’s era, too-cute-too-mod graphics. She is immediately taken by this horse and his awesome name. 25-1? What are odds when you’re almost 13 and in love with a horse? Then, the jockeys arrive, and Thunder Gulch’s is particularly handsome. Her TV set is old, and in this era pre-digital signal, the rabbit-ears antennae provide a less-than-perfect image. The shining silks appear to be purple, with a pink circle on the chest and pink stripes down the sleeves. If there was any doubt before about which horse she would pick for this race, the silks sealed the deal. Would it have made a difference if she’d known the colors were actually blue and orange? Excitement builds as she watches the horses parade to the post, and she is interested to hear each sportscaster give their picks – none of them mention “her” Thunder Gulch. Her pulse races as the horses load into the gate, and a shiver jolts down her spine as they break in a tremendous rumble to make the first run past the cheering crowd at Churchill Downs. She wishes she were there among those lucky people, to hear the hoofbeats and smell the dirt, and watch her horse gallop by. As the horses spin around the turns, she is more and more drawn into the drama unfolding in that short lap around the track – Thunder Gulch is moving like a winner! As he draws away from the field in the final furlong (she doesn’t even know what that means yet!) she jumps off her bed and cheers, right there in her room in Memphis, Tennessee! She has picked a Kentucky Derby Winner! She, a 12-almost-13-year-old girl, has picked a Kentucky Derby winner that none of the experts even mentioned! She feels like the smartest person on earth – who cares about that bad math test at school, she just picked a Derby winner – on the first try! Thunder Gulch became my favorite horse at that moment, and each day I would scour the sports pages looking for any news or photos of him. I got to know D. Wayne Lukas, the colt’s trainer, and Gary Stevens, his jockey, through the few stories I could find. The Preakness two weeks later was a disappointment, with Thunder Gulch’s stablemate, Timber Country, taking that jewel, but when “my” Derby horse won the Belmont (and that nifty champagne-colored Chrysler minivan!) I was once again on cloud 9. Later that summer, my family took a trip to Lexington and Louisville, where a life-sized statue of Thunder Gulch was the focal point of the Kentucky Derby Museum. I had never been to a place where horses were so important, where what had been a childhood obsession could be something you actually did for a job. I vowed then to one day work in horse racing. It has been twenty years since that glorious Derby day. Thunder Gulch retired to Ashford Stud, in Versailles, Kentucky, due to an injury. He became a world-class sire, standing in Japan, Australia and Argentina, as well as Kentucky, and topping the sire list in 2001. That year, his son, Point Given, won the Santa Anita Derby, Preakness, Belmont, Travers and Haskell en route to a Horse of the Year title and nearly $4 Million in earnings. Thunder Gulch’s daughters were also stone-cold runners, with Breeders’ Cup Distaff winner, Spain, among the best. The 12-year-old girl grew into a young lady who could actually enjoy the infield’s charms, eventually attending many editions of America’s greatest race. Today, she lives in Louisville, where her job is to make it easier for all the now-12-year-old girls to find news and photos of their favorite racehorses. 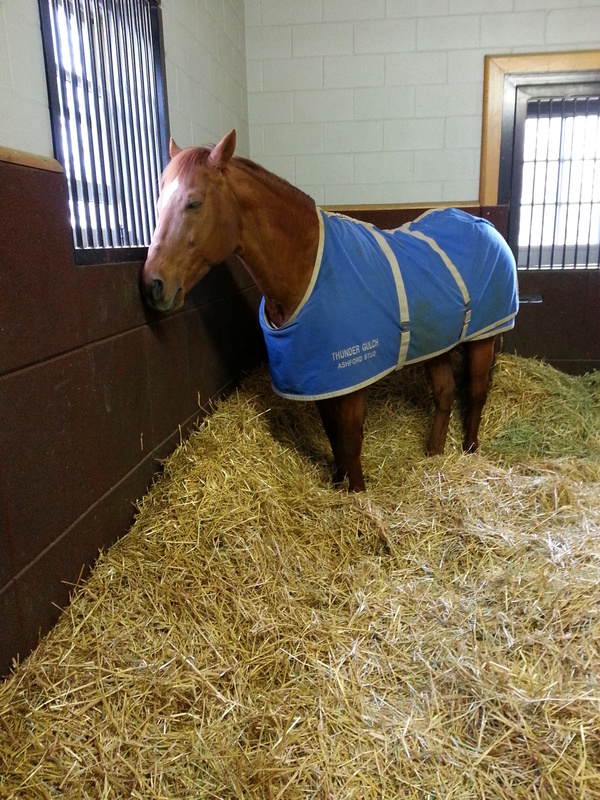 Thunder Gulch retired from stud today to live out his golden years in the rolling pastures. I visited with him briefly a couple weeks ago, and will do so as often as possible for the rest of his days. What Exactly Is American Racing? I was under the impression that American horse racing was primarily done on a dirt surface, and that our best horses competed at the one mile and one-quarter distance. I was also told that female horses were celebrated for defeating males at any distance, as it was so rarely done here. My other assumption, based on the press, was that the Triple Crown races were at the top of the heap in quality of competition for three-year-olds, and that the winners of those races were the ones to root for and follow throughout the year. I was sold the idea that the Breeders’ Cup was the championship weekend, and that the whole year’s racing came down to these uber-battles. I was also told that should unexpected results come out of the BC, the whole year’s races were still considered in deciding year-end awards. With that said, what happened at the Eclipse awards last night? We awarded our top honor to a turf horse who never set one hoof on the dirt, nor did he win one panel over a mile. Ok, so maybe his turf mile record was was fantastic; I admit, the Woodbine Mile was a stellar performance. OK, Turf male, cool – horse of the year: weirder things have happened (Favorite Trick, anyone?). But what about Champion Older Male? There was no dearth of talent on the dirt last year. Mucho Macho Man had an inconsistent year, but he strung 2 great wins together: winning the Awesome Again and beating everyone in the BCClassic. Flat Out, Ron the Greek, Cross Traffic, all took turns beating each other in NY and FL. But they all showed up on the dirt, in 1.25 mile races. Then there’s Game On Dude. The Dude won the Santa Anita Handicap, the (final) Hollywood Gold Cup and the Pacific Classic, sweeping the SoCal Handicap triple. He also took the Charles Town Classic and the San Antonio. He suffered his first loss of the year in the Classic, but avenged that performance with a surprise run and valiant head loss to Will Take Charge in the Clark. In any other year, the Dude would be a champion. He should have been one for 2013. He ran in open Grade 1 races, supposedly our top level, most prestigious, most valued, all year long. He ran and won on the dirt at 1.25 miles, and also won at that distance against 10 other rivals at Del Mar, a surface he had not performed at his best on in the past. And he got only 31 votes for champion older male. I’d have been happy with Mucho Macho Man taking the award, after all, he did defeat Dude in the Classic! And people wonder why our “best” horses retire early. Why keep a good three-year-old in training another year when none of his wins will mean anything? I used to get really ticked off when connections said their retired colt “had nothing left to prove”. Well after this horrendous year, I get where they’re coming from. Why take the chance, why ship, why be a “sportsman” if it doesn’t mean anything? I thought this was American style racing. I thought our dirt horses and classic distance runners were sources of national pride. If we actually don’t value that, then we need to own up to it. Tear up the dirt tracks and replace them with safer synthetics. Cut the Triple Crown races back in distance and spread them out on the schedule. Strip California of its G1s. Ban Lasix and raceday meds. Because for so long, this is what we have insisted American horse racing is all about. Last night, we proved that’s a lie.